Titford Pump House is our meeting room – join us here for meetings on Thursday evenings from September to May, and for our rallies. The building is an old beam engine pump house, that has been used for this purpose since the 1850s, initially as a single engine, with a second engine installed in the 1860s. Later an electric pump was used – and we have re-installed one of the old ones beside the pound between locks 1 and 2. The security fence re-instated. Work party photo by Wayne Attwood. In early 2017 some oiks vandalised the fence stopping people coming down from Tat Bank Bridge. It was then easy to cross the end pontoon and get across to the mooring pontoon. There were some thoroughly unpleasant incidents, including some of the long term moorers getting their boats vandalised. Since then we have had a work party on the job, and done two things. Firstly we moved the end pontoon, so that if vandals got under the bridge they could not get across to the moorings. Secondly we hooked the missing piece of fencing out of the canal, and have re-bolted it, hammering the bolts to ensure that they cannot be undone again. Canal and River Trust have supplied us with some “anti climb” paint, to make getting past the fence even harder. With a bit of luck this will prevent people getting under the bridge. I believe that the moorings are again secure, however we need a little more time to be sure of this. The locks to the outside world use the normal keys. The gates for vehicle access have been hit on a few occasions by HGVs turning in Engine Street, and can be difficult to open and shut. Unless you must, I recommend using the pedestrian entrance gate. Cafelicious (at the junction of Engine Street and Tat Bank road) is a decent works cafe – does all day breakfasts, sandwiches etc. Closes at 14:30 on weekdays and 13:30 on Saturdays. Titford Pump House – prior to restoration! – Les Pitt’s photograph. Broochels Cafe (where Tat Bank Road crosses the Titford Canal at lock 5) offers a very similar service. 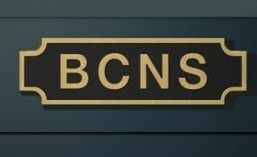 Both are good – there is no BCNSociety consensus as to which is the better – it very much depends on who you ask!